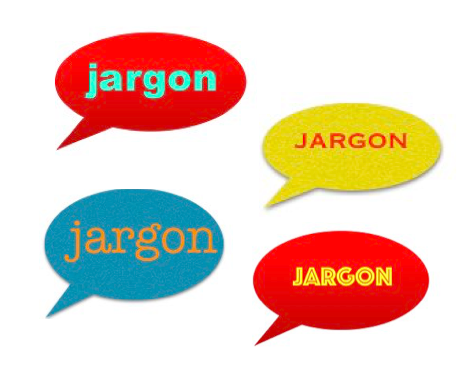 We’ve just enjoyed reading “Lucy Kellaway’s jargon awards: corporate guff scales new heights” and feel as passionate as she does about the mangling of the English language. Our Twitter “gift’ in the run-up to Christmas was our “12 Days Of Jargon” – we peeped behind the proverbial corporate door each day to bring followers a real example of management mumbo-jumbo and global gobbledy-gook. So, taking inspiration from Lucy’s linguistic larder, we thought we’d serve them all now in a mash-up of management mutterings. 1. “..collaborative approach to system leadership”. We think this meant “bosses working together”, but we weren’t entirely sure and by then the healthcare author had moved on anyway. We were happy to as well. 2. “..could have unintended consequences”. We heard this one a lot, especially from interviewees on Radio 4’s flagship Today programme. It’s an egregious, creamy way of saying, “..could backfire”. 3. Then there were the speeches and presentations containing, “embed…engage..stakeholder..strategic” – these had all the humanity of a carpet tack. Ironically, the NHS seemed particularly affected by this verbal virus. 5. As the Christmas tills began to tinkle, we became very tired of hearing “consumer” – a far more impersonal choice than “shopper”. 6. And those shoppers apparently could be found in a “retail outlet”. Really? Who has ever said they’re popping out to one of those? Shop or store please. 7. Then, courtesy of a press release came, “I want to reach out to let you know…”. It seems Lucy has been reached out to as well. We retched out in response. 8. So let’s stay with this physical theme to bring you: “NHS premises receive heavy footfall from the communities of which they are a part”. This triggered a dreadful bout of cephalgia, sorry, a headache, until we translated it into, “lots of local people visit NHS sites”. 9. But before long the pain returned thanks to “synergies”. It might be longer, but we’ll take “what we have in common” every time. Please feel free to add to our “dirty dozen”….